If a member of my family were diagnosed with cancer, I would want them to be treated at CTCA. 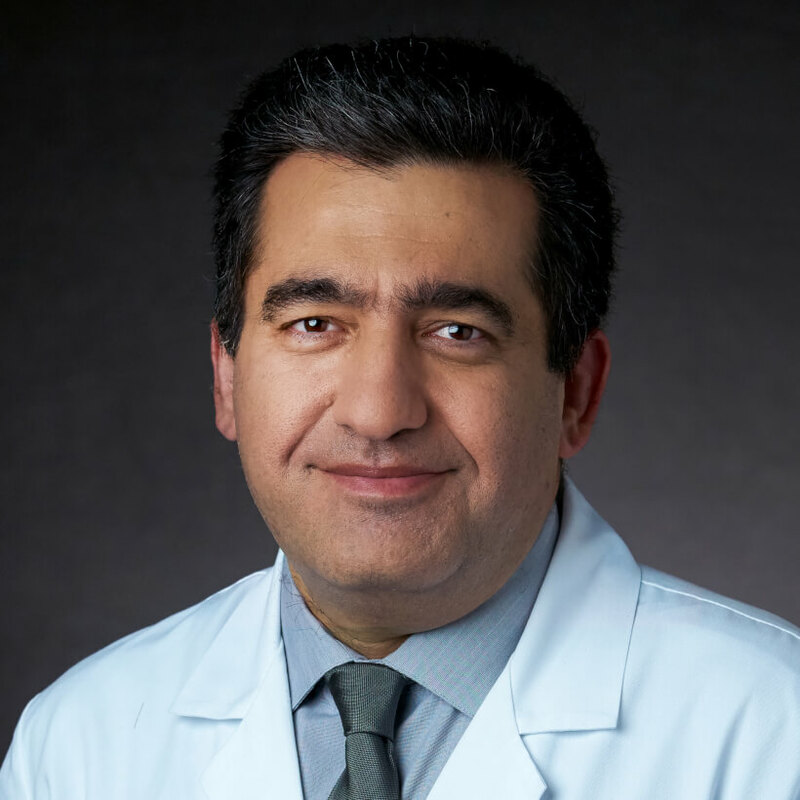 "The patient-centered philosophy and collaborative work environment are what drew me here," says Dr. Farshid Sadeghi, Medical Director of Genitourinary Center and a Urologic Oncologist at Cancer Treatment Centers of America ® (CTCA), Phoenix. "These approaches directly influence the delivery of high-quality care." Dr. Sadeghi studied biochemistry at Harvard College, completing his Bachelor of Arts degree in 1990. He holds a Doctor of Medicine degree from the University of Southern California, in Los Angeles. Following his academic studies, Dr. Sadeghi completed seven years of professional training at Baylor College of Medicine in Houston, Texas. After a year-long surgical internship, he was a urology resident for five years, awarded Outstanding Resident Teacher in his final year. His subsequent fellowship in urologic oncology included advanced laparoscopic and robotic training in Brussels, Belgium, and Paris, France. In 2003, Dr. Sadeghi joined a private urology practice in Arizona, where he provided care for more than a decade. During these years, he held several academic appointments as a clinical instructor with the University of Arizona, Midwestern University College of Medicine, and Honor Health. Dr. Sadeghi has been treating urologic cancers at CTCA® since August 2016. In his prior practice, he was an early adopter of laparoscopic and robotic-assisted surgery for the treatment of prostate, kidney, and bladder cancer, supervising the training of colleagues in the use of the Da Vinci® Robotic Surgical System. His dedicated care and expertise in minimally invasive techniques have made him a sought-after urologic surgeon who is proud to provide care at CTCA. "I want to offer patients optimal outcomes using approaches that allow them to enjoy rapid recovery and fewer side effects," says Dr. Sadeghi. Dr. Sadeghi has also contributed to the scientific literature. After becoming interested in research as an undergraduate, his laboratory work in medical school generated several significant publications focused on urology, including reports on immunotherapy for prostate cancer. Dr. Sadeghi's time outside of CTCA revolves around his family. He enjoys watching his children play soccer and ice skate, and he is always looking forward to his next family vacation abroad. He is also an avid chess player.